The Fire Grande pendant from Tech Lighting launched in 2013 and has since grown in popularity due to its rich colors and simplistic beauty. 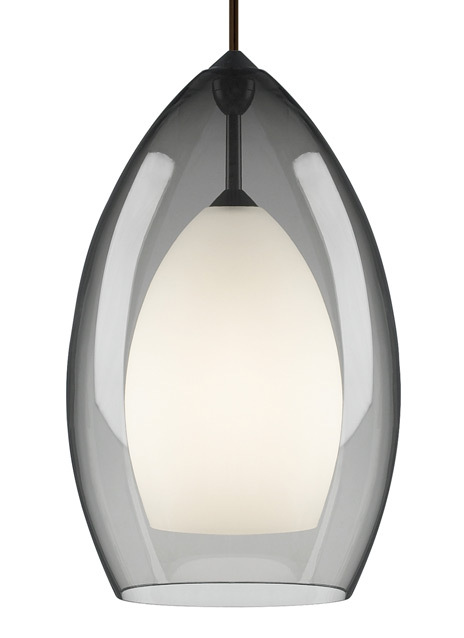 Externally a rich translucent glass surrounds a frosted raindrop diffuser concealing the lamping inside. The Fire Grande sets a tone of modern sophistication with five classic colors options and four high end finishes. With a 4.5 length and 7.8 diameter span the Fire Grande is ideal for kitchen island task lighting, bedroom lighting, and countless commercial lighting applications. The Fire Grande pendant is the largest in a family of five Fire pendants available from Tech Lighting, simply search for the Fire pendant to find its close relatives. Includes 120 volt, 40 watt G9 base halogen lamp. Fixture provided with six feet of field-cuttable cable. Incandescent version dimmable with standard incandescent dimmer.